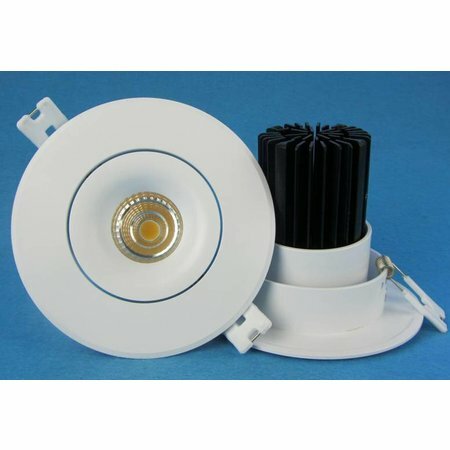 Are you looking for an powerful LED downlight? 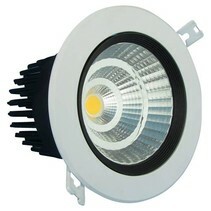 Look at this 30W LED down light! The rounded edges of this downlight make it a nice, unique fixture! 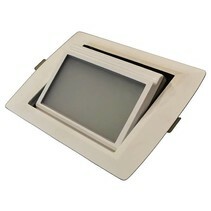 This downlight is a nice addition for your interior! 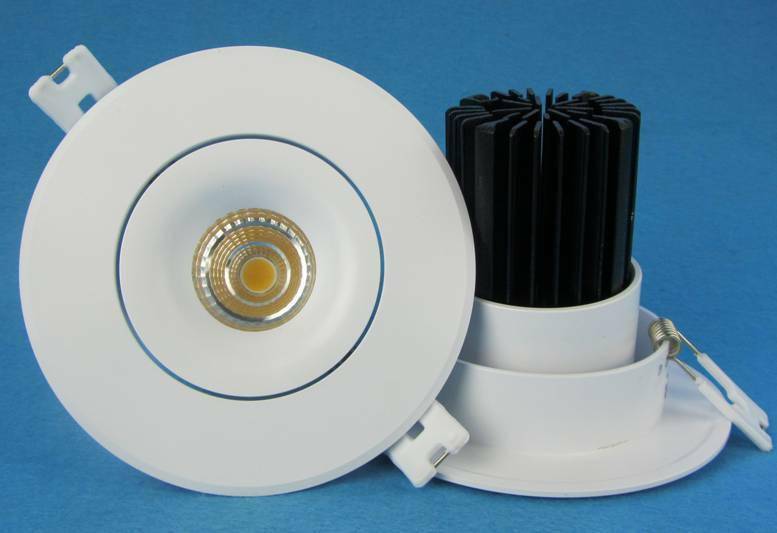 Does this 145mm cut-out downlight fit in your shop? Continue reading then! 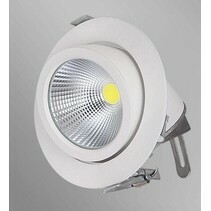 This 30W LED down light is a top model! Due to its nice, rounded trimmings at the inner side of this spot, this is a real design light! This is the perfect harmony between practical and beautiful. Due to the choice between 4 different beams, you can do everything you wish with this recessed downlight! It can be used as direct lighting (with the 15° or 24° beam) (or he can be integrated in high ceilings but also the low ones if you want to highlight certain stuff) and for indirect lighting (with 38° or 60°). Whatever, it brings a big economy in the elecricity bill because it consumes so little. With a maximum light intensity of 30W (it has a luminosity of 2400 to 2850 lumen), it consumes only 1/7 of a halogen lamp and it can be considered as a real powerled. So, your halogen lamp would consume 210W for the same light effect! 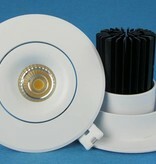 High time for replacing downlights with energy consuming lamps! 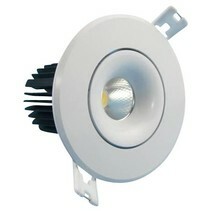 As this 30W downlight can also be rotated, it can be used for eternal applications. As restaurant lighting, hotel lighting but even as bakery lighting or butcher shop lighting and not to forget project lighting. There are also models with a higher power of light of 40 or even 50W. 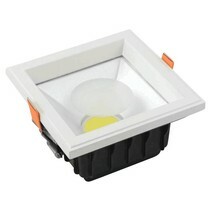 Check our webshop with downlights or LED downlights. Why would you buy this 30W LED down light at My Planet LED? We are a service-oriented lighting shop and we deliver your order as well nationally as internationally. Our customers say we provide an excellent personalized service! The payment possibilities are versatile and secure! 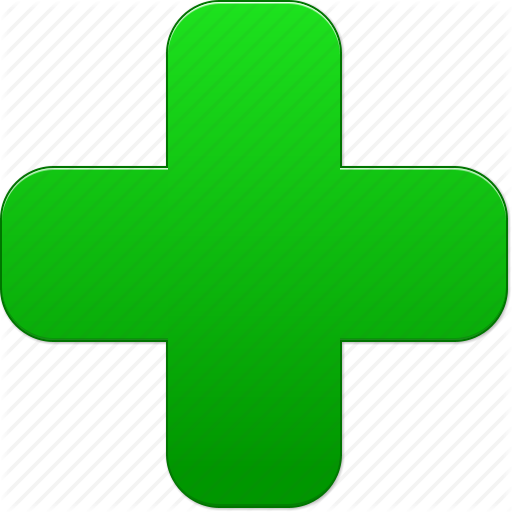 In addition, we are member of a quality mark which controlls if their members follow all the customer legislations. Do you hesitate about this recessed downlight? No problem! You can use our 14 days return policy. This allows you to see if it fits well. And of course, you can count on the excellent service of My Planet LED. Do you have more questions? Do not hesitate to mail us (info@myplanetled.com) or by phone (+32) 57 466 866 in order to obtain more informations about this 30W LED down light.